The DS football RPG from the developers of Professor Layton, Inazuma Eleven finally reaches UK shores today after a huge delay. On-the-ball readers may remember it was mistakenly released in small quantities back in January, but it was always Nintendo's plan to release the game properly alongside the cartoon series which just began airing in the Sceptred Isles. You can check out our Inazuma Eleven review to see if this one hits the back of the net or if Nintendo should have called time back in January. Is there any chance that this game will ever come to the US? I would like to give it a try. It looks like fun. It's got as much chance as Xenoblade Chronicles, so get on to Project Rainfall and make some noise! By the way, I'm one of the lucky ones who got a UK copy back in January. This one is interesting indeed....especially with the developers who are behind the game. I'm not a sporty person, but I get the feeling that wouldn't be too much of an issue. Is this based off an anime? Yes, it is based of an anime with the same name. @3 Not sure. I got a version of this game free when I bought the 2nd Layton game, the Akuma no hako one. It came as an extra, though I only played it once or twice. I remember it being fun. It is out in The Netherlands for a while now. In fact, it was last weeks number two in the all-platforms list. @Wolframheart If it doesn't you can always import it as its a DS game and the DS is region free. Didn't the game come first? Anyway, I saw the anime when i was in japan. It is one of those shows where you don't need to understand the language to know what's going on. I wonder though, if this game is worth getting. And I haven't noticed in any online shops that it's been restocked. every titles where akira toriyama gave it the art style was a great deal for me. not because of visual necessar;y, but everytime its something either innovative or damn good. the guy knows where to work and not lose his time. How is it for someone who has no interest in football/socka? @ Gavin_Rozee If you like any of Level 5's games (Professor Layton, Dragon Quest 9, etc) or even just RPGs in general, then you'll still enjoy it. If you've ever seen the film 'Shaolin Soccer' and thought that was funny, then you'd probably like Inazuma Eleven as well. I don't follow football much either but I think it's a great game. The intro movie and tune are hilarious. I love the Layton games, I think football games are pretty cool and many RPGs too. I even used to play some football manager games. Seem like I'll like this one, eh? Seeing as how soccer (football) is not very popular in the USA and Canada, I'm going to guess I'm never going to see this game in my country. Seems pretty interesting that this series is being released outside of Japan anywhere and at all. Ok come on Level 5/Nintendo where is US release? I actually bought it last week, but I have yet to get really into it! 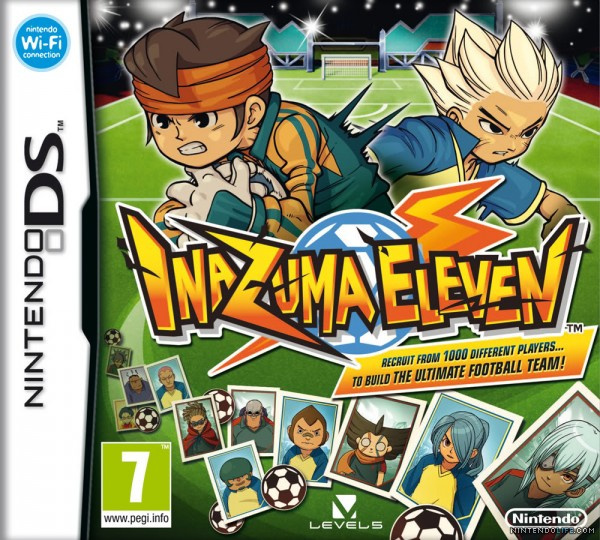 I've also seen several sources stating that Level 5 has been planning to bring Inazuma Eleven to NA.